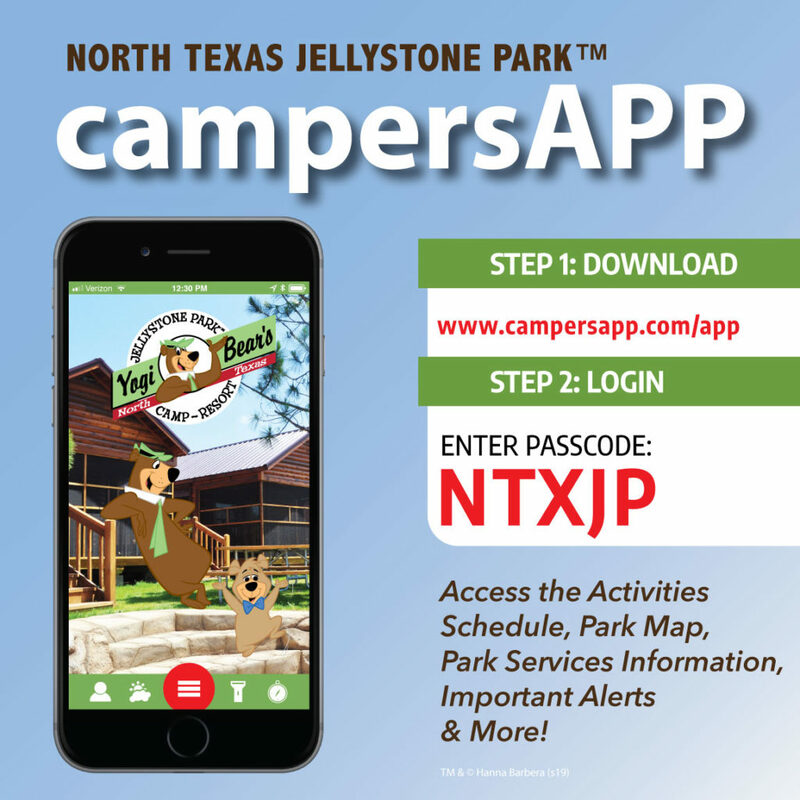 Campers staying at North Texas Jellystone Park™ have access to 1 of our 3 birthday party bear visit packages! If you would like to have a more structured birthday we do offer Pirates’ Cove Water Park birthday party packages just next door. Email activities@northtexasjellystone.com to schedule one of the birthday bear visit packages below. This birthday party package includes 1 of the Bears and a friendly handler presenting a 6 balloon bouquet to the birthday person before our “Hey, Hey, Hey” Ride and singing “Happy Birthday” to the birthday person! This birthday party package includes 1 of the Bears and a friendly handler delivering a birthday gift and singing “Happy Birthday” to the birthday person! This birthday party package includes 1 of the Bears and a friendly handler bringing s’mores for up to four (4) people to your site. All you need to do is build the fire and have it ready when they get there!